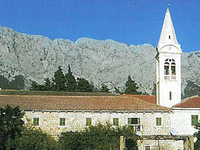 Zaostrog is a tourist town on the coast of Makarska Riviera, one of the most beautiful parts of the Croatian Adriatic coast.It is 35 km from Makarska. 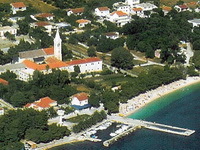 Zaostrog is known by its fine pupplebeaches, with crystal clear water. The climate with over 300 sunny days is among the healthiest in the South. 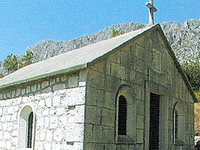 Zaostrog also offers many different sports and recreational opportunities. 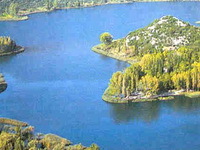 Very good fishing opportunities in the clean and oxygen-rich Bacina Lakes, 10 km from there. 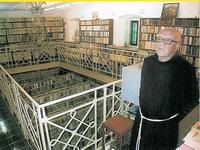 The monastery has a rich library with about 20 000 books and a Archivfond. In the museum includes an ethnological collection and furniture and tools. and also several copies of Croatian national costum. Cultural relics in this area and surrounding area is a Franciscan monastery. It is thought that the monastery in the 14th Century. In the monastery garden is a botanical garden with over 250 plants. Zaostrog offers many hiking opportunities. 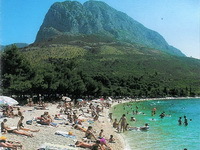 The mountains with Biokovo Plana, Viter and much more.